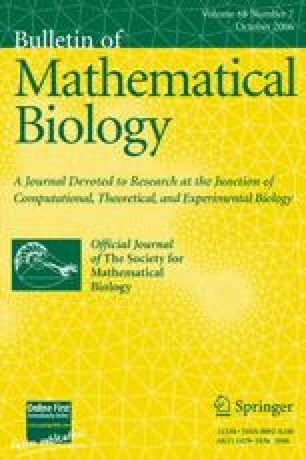 To better understand how the avian kidney’s morphological and transepithelial transport properties affect the urine concentrating mechanism (UCM), an inverse problem was solved for a mathematical model of the quail UCM. In this model, a continuous, monotonically decreasing population distribution of tubes, as a function of medullary length, was used to represent the loops of Henle, which reach to varying levels along the avian medullary cones. A measure of concentrating mechanism efficiency – the ratio of the free-water absorption rate (FWA) to the total NaCl active transport rate (TAT) – was optimized by varying a set of parameters within bounds suggested by physiological experiments. Those parameters include transepithelial transport properties of renal tubules, length of the prebend enlargement of the descending limb (DL), DL and collecting duct (CD) inflows, plasma Na+ concentration, length of the cortical thick ascending limbs, central core solute diffusivity, and population distribution of loops of Henle and of CDs along the medullary cone. By selecting parameter values that increase urine flow rate (while maintaining a sufficiently high urine-to-plasma osmolality ratio (U/P)) and that reduce TAT, the optimization algorithm identified a set of parameter values that increased efficiency by ∼60% above base-case efficiency. Thus, higher efficiency can be achieved by increasing urine flow rather than increasing U/P. The algorithm also identified a set of parameters that reduced efficiency by ∼70% via the production of a urine having near-plasma osmolality at near-base-case TAT. In separate studies, maximum efficiency was evaluated as selected parameters were varied over large ranges. Shorter cones were found to be more efficient than longer ones, and an optimal loop of Henle distribution was found that is consistent with experimental findings.